Promotions are one of the most visible ways for companies to demonstrate who they truly value. Current employees and potential job candidates pay attention to the kinds of people who hold leadership roles in an organization. When someone is promoted, it is an implicit endorsement of everything about that person including performance, work style, and demographic background, even if this did not directly influence the promotion decision. When it comes to gender, employees notice when their company tends to promote more men than women into leadership roles. And when the leadership ranks are overwhelmingly male (a very common case in many organizations and industries today), the message being sent is that women in that company are not valued as potential leaders. Most companies have a strong inverse relationship between female representation and organizational level – the higher you look, the fewer women you tend to find. We’ve all seen the statistics. Women currently hold only 12% of executive board seats globally. Fewer than 5% of CEOs in the S&P 500 companies are female. If this doesn’t concern you, it should, and not just because of the social justice perspective. Research has demonstrated significant financial benefits of gender diversity at the top. And one of the best ways to develop female leaders is to employ female leaders who serve as role models and mentors for other women. Unfortunately, there is a chronic shortage of powerful female role models in many companies. This perpetuates a workforce in which women are underrepresented at nearly every career stage. Companies need more leadership talent to support their growth; if they fail to tap into women as a source of this talent, they are overlooking approximately 50% of the available workforce and leaving tremendous human capital on the table. We know we shouldn’t be overlooking women as leaders, so why do we do it? There is an implicit bias toward doing things the way they’ve always been done. Historically, a large majority of leadership positions have been filled by men. When asked to visualize what a high-powered leader looks like, people often fall back on the idea that the leader is or should be a man. Because many organizations have had success with male leaders, there is a tendency to continue doing what has worked in the past, even if circumstances have changed. A greater span of control and increased responsibility are not considered to be ideal for people who are perceived to have greater nonwork commitments. One of the reasons implicit biases around the “ideal leader” exist is because of perceived (or in some cases, actual) differences in how people manage their lives. Women still frequently take on more nonwork and family responsibilities, and even when they do not, the perception remains that they do. Promotions tend to be accompanied by more work and greater impact in the organization, which may not be perceived as being compatible with significant nonwork commitments. Promotion is an outcome based on other biased processes. Implicit manager bias can determine assessments of performance, provision of rewards and recognition, and access to developmental opportunities. All of these influence whether an employee is considered in the promotion process. Promotion based on performance, while considered good practice, may be biased if performance evaluations are not reflective of true performance. Further, if men are more likely to receive leadership development, they are more likely to be visible when leadership positions become available. We’ve written before about the power of embedding diversity, inclusion, and equity directly into your HR processes. Your promotion processes should be no different. Companies can adopt certain practices that prevent, detect, and eliminate the influence of bias in how they make decisions around who they promote. 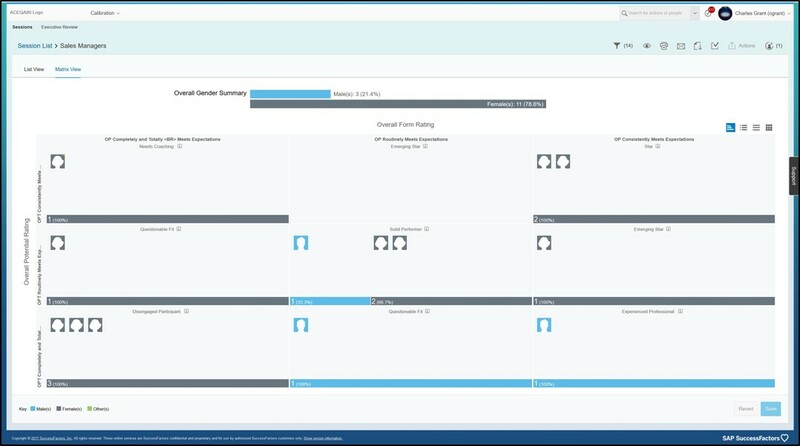 And if you’re an SAP SuccessFactors customer, you can even use your solutions to directly support how you do this. Use calibration sessions to evaluate potential. If definitions of potential are broad, there is a greater likelihood that managers will exhibit bias in determining who should be promoted. Unbiased promotions start with a clear definition of potential that aligns managers around the experiences and capabilities employees need for the next step in their careers. This alignment and shared understanding can be significantly improved through calibration sessions that encourage candid conversations around succession and promotion decisions. The SAP SuccessFactors Succession Calibration tool allows managers to categorize employees by performance and potential. This supports discussion around who meets the criteria for each category and why, thereby reducing the impact of any one individual’s bias. As of our latest quarterly release, customers can take further steps to detect and eliminate potential bias in calibration by turning employee photos off, and gender summary indicators on. 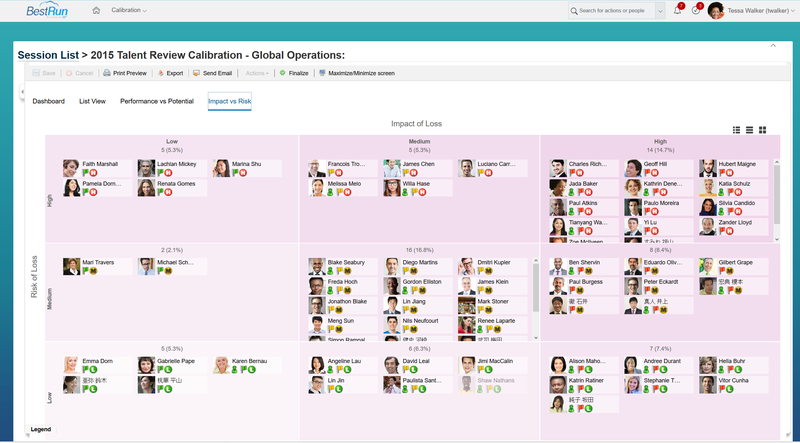 Managers can also use the new in-line notes capability to clearly define and drive shared understanding of what performance and potential really look like in each of the 9 box cells. Search for promotion candidates based on objective criteria. Utilizing talent search capabilities, decision makers can search within the workforce for people who possess certain skills, capabilities, or experiences, allowing people who may otherwise be overlooked a fair chance at being considered. 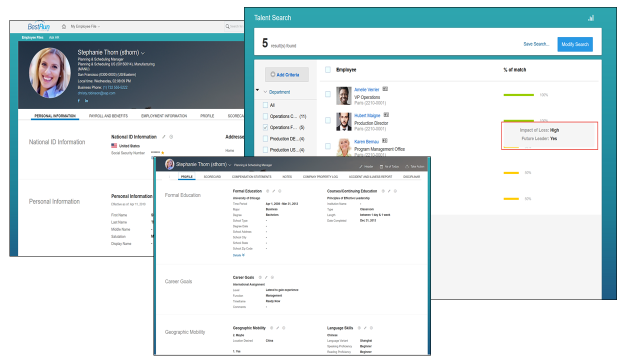 In the SAP SuccessFactors solution, this information can be pulled from the employee profile. Furthermore, since much of the information on the employee profile is often provided by employees themselves, this allows employees to play an active role in creating their own promotion opportunities. Employees should be encouraged to continually refresh information about what they’ve done or learned in order to improve the chances that they will be considered for a promotion. The use of this selection tool also gets around issues that occur when candidates are identified through using people’s personal networks, which tend to be disproportionately dominated by one gender or another. Determine whether bias is influencing who gets all your attention. When employees provide a lot of value in the organization, losing them would be very costly, and promotion and career growth opportunities may be paramount to retaining them. This often influences who gets promoted. But if men are perceived as being higher risks of loss due to implicit biases about their contributions, women may be getting consistently overlooked. Using SAP SuccessFactors you can assign employees with a “risk of loss” label. Looking at who you’ve placed in the “high risk” category can help you not only highlight employees that need to be retained but also shed light on whether you’re consistently assigning high risk categorization to one kind of employee. The promotion process is a key decision point at which we can make lasting change in workforce gender equity. Moving women up the corporate ladder communicates to early-career females entering the job market that progression is possible. But basing promotions on anything other than true qualifications sends the wrong message to employees. Embedding bias detection, prevention, and elimination directly into promotion processes will help organizations ensure that the right people have equitable access to the opportunities at the top. For more information on how you can leverage SAP SuccessFactors technology to move your business beyond bias, visit Diversity and Inclusion and check out our e-book.